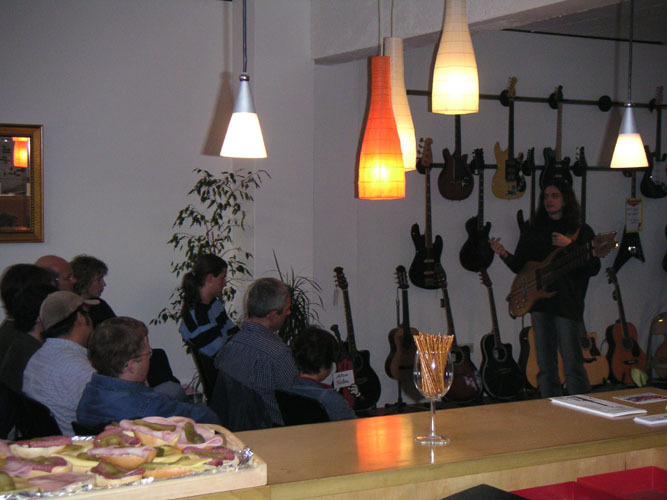 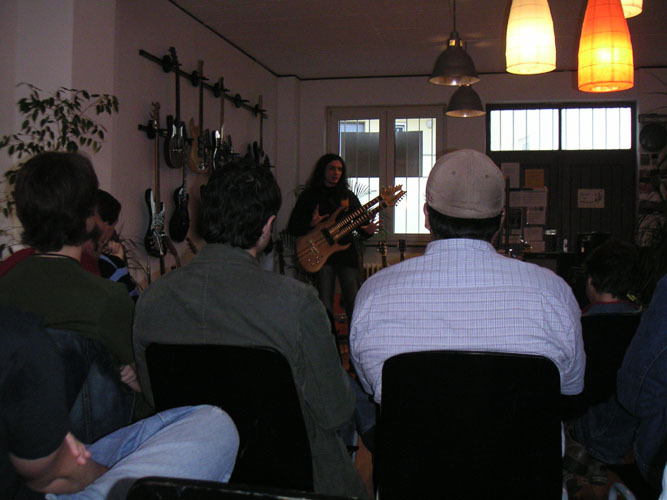 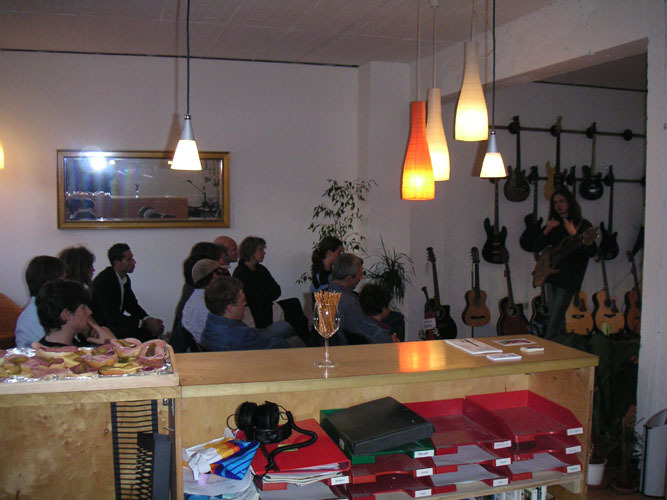 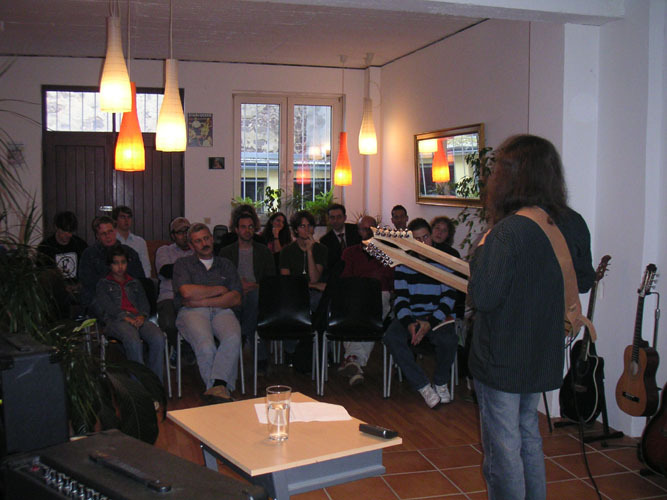 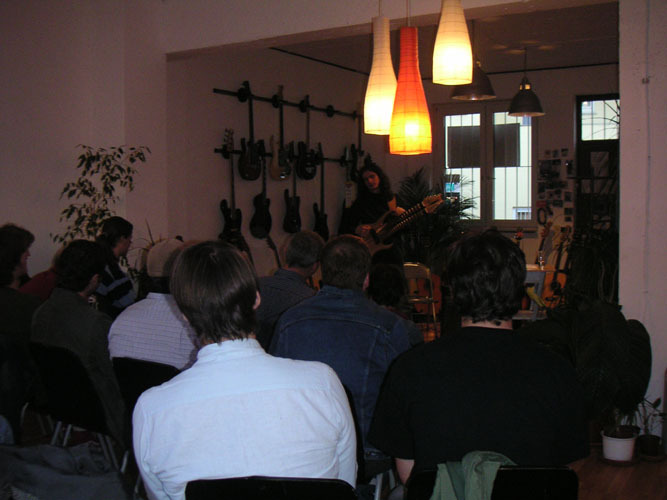 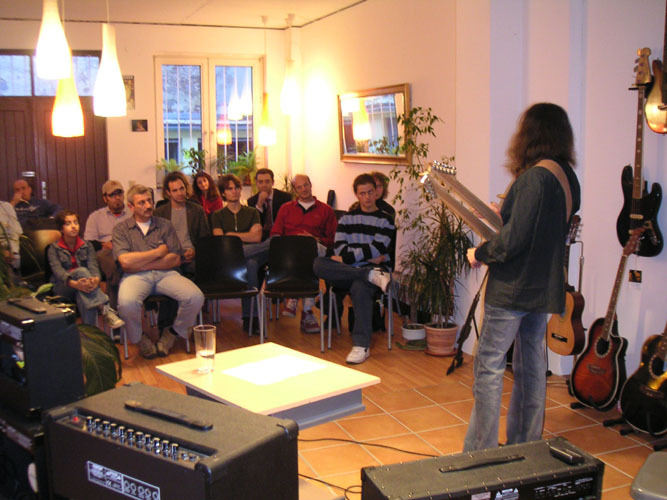 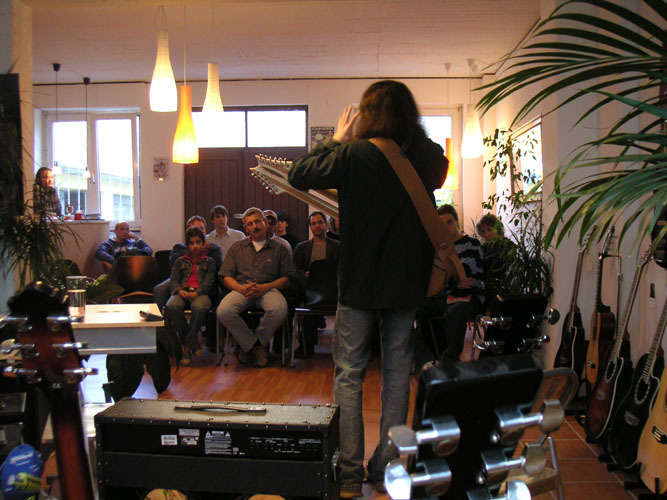 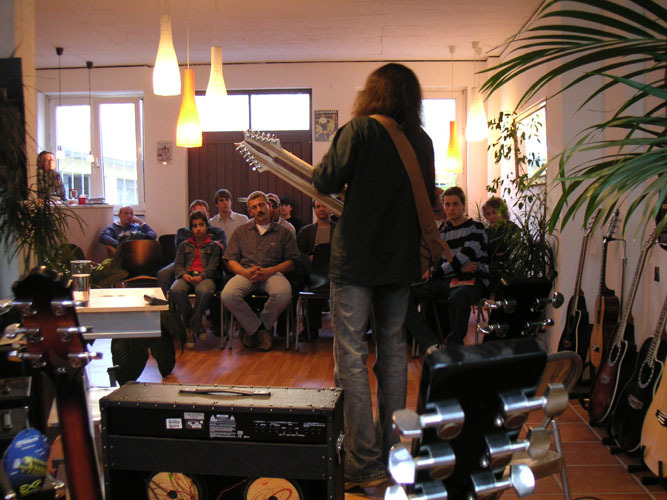 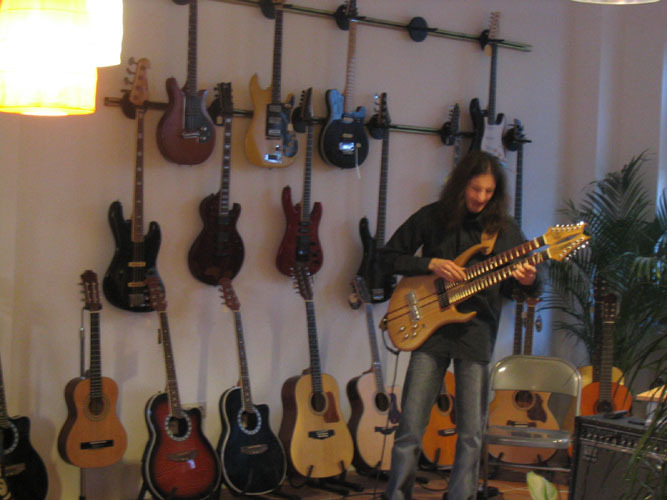 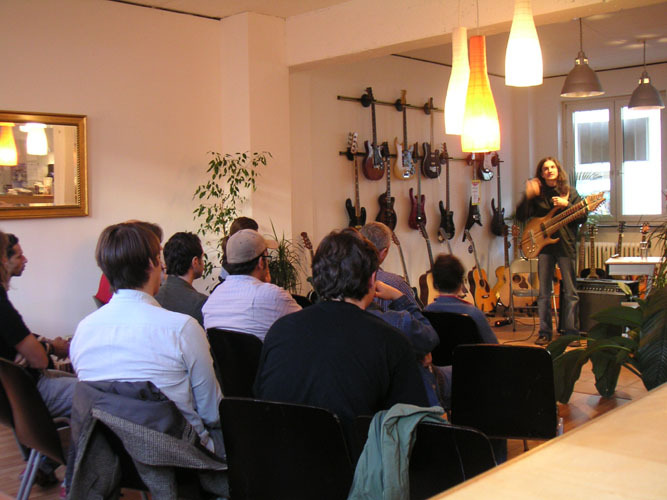 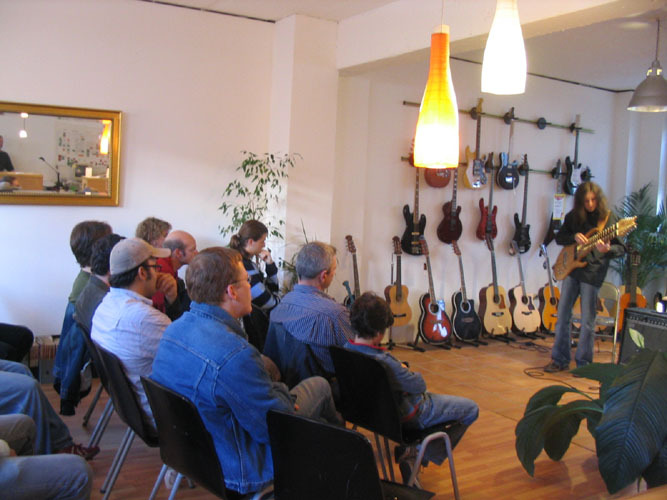 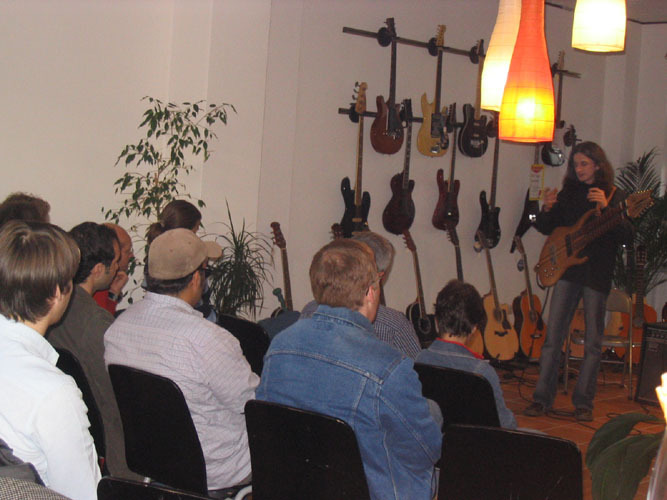 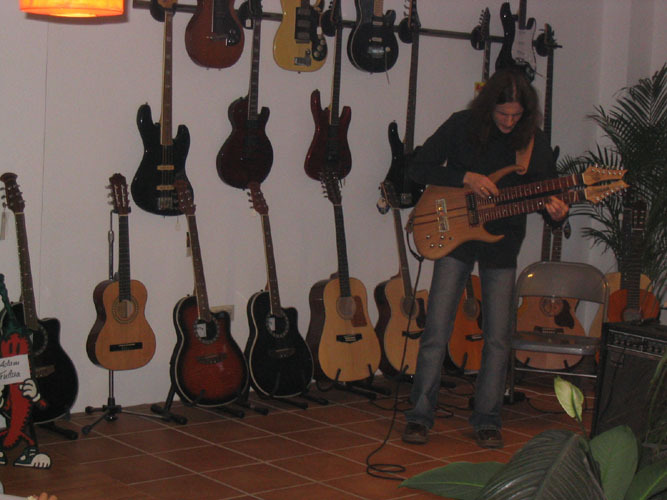 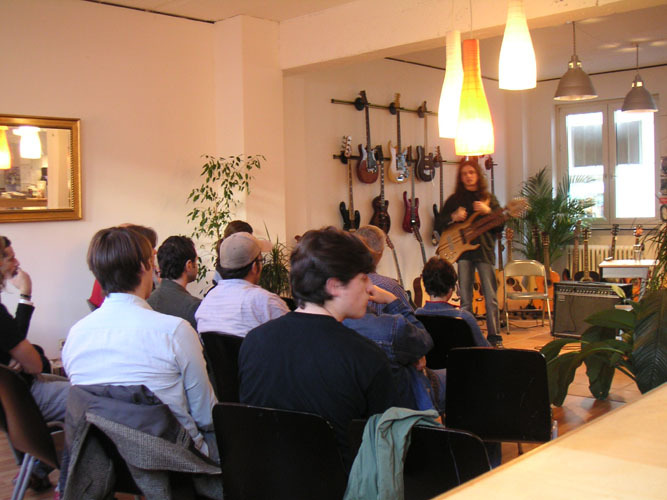 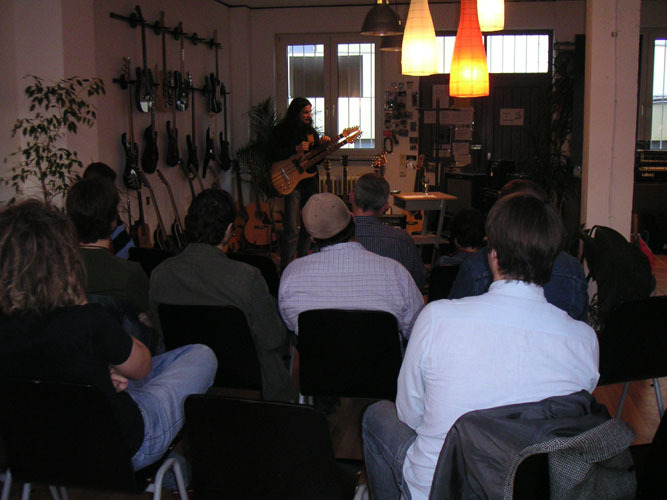 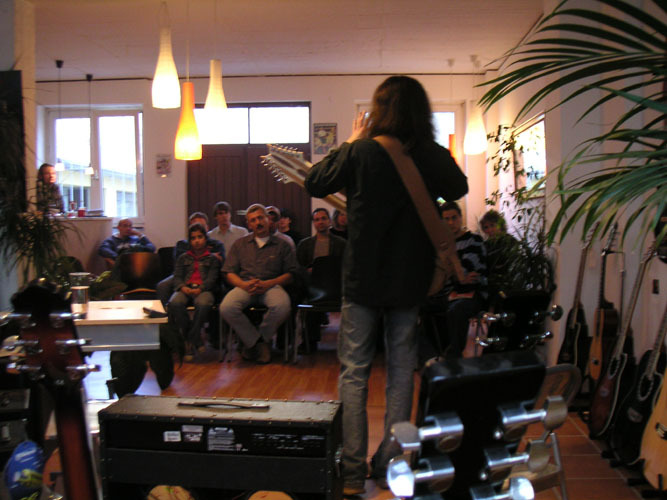 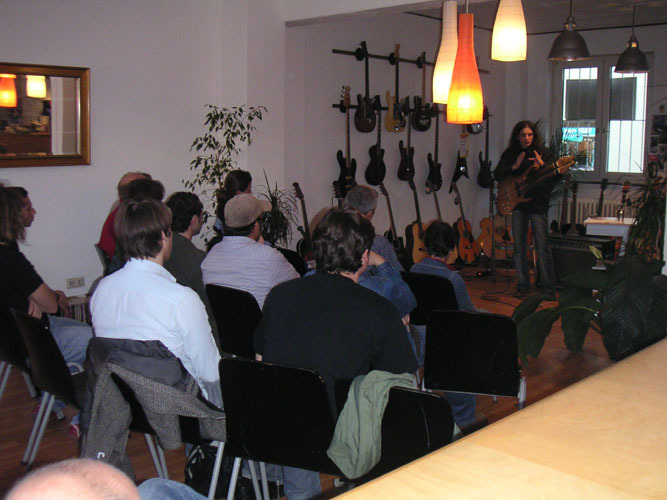 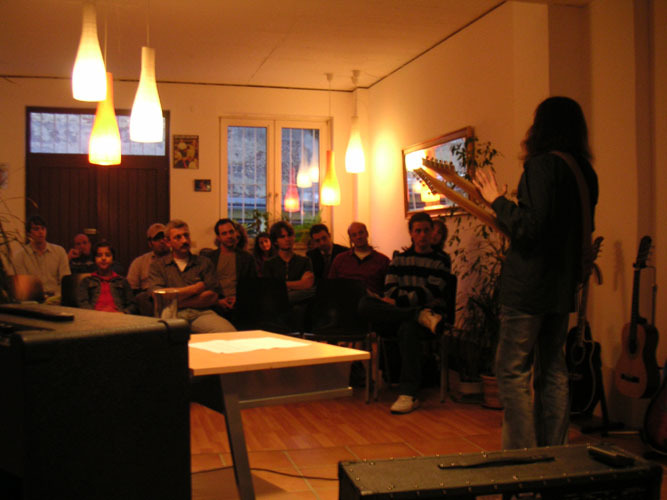 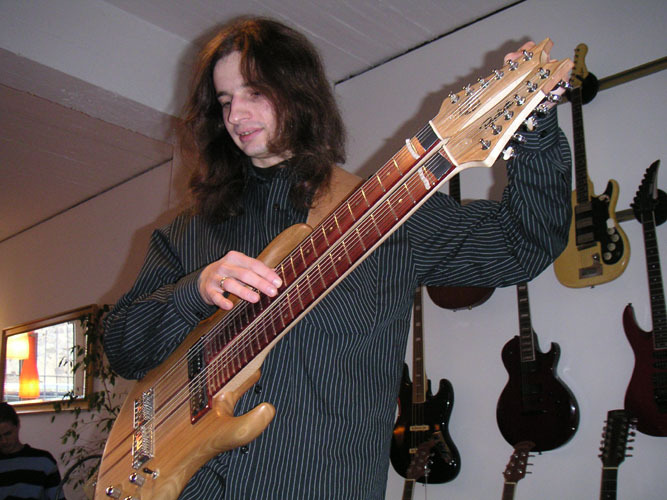 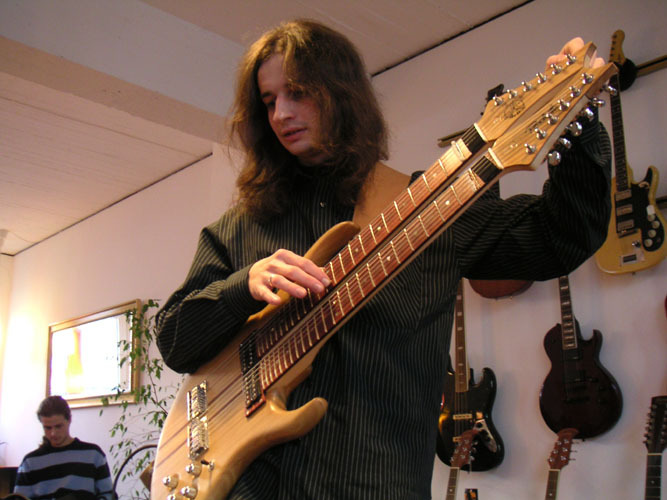 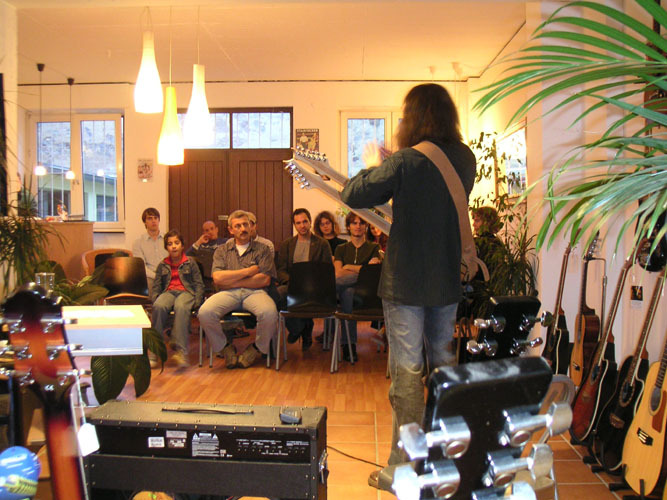 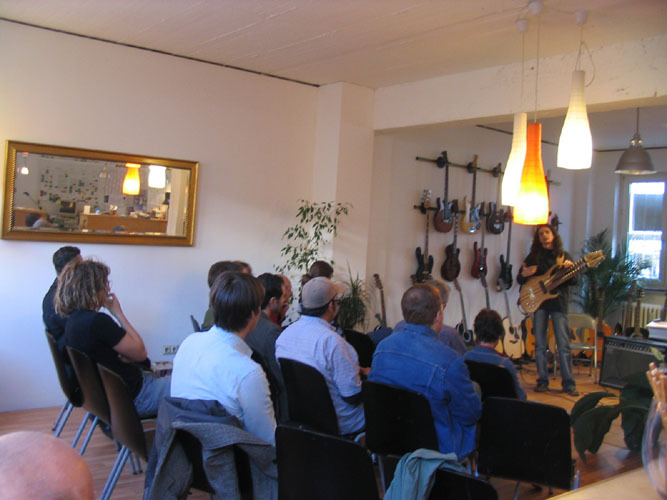 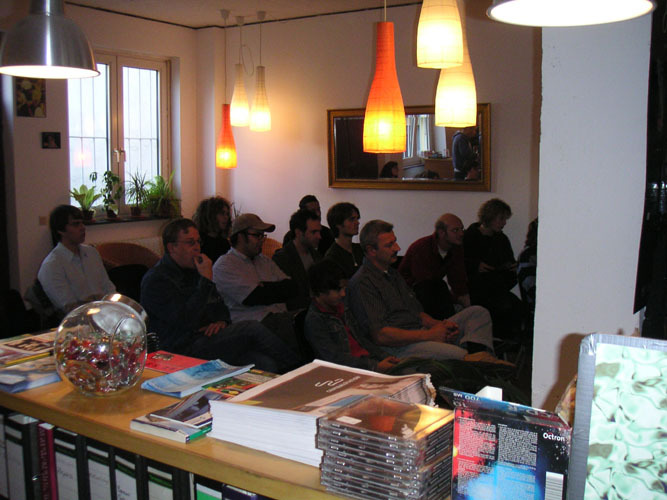 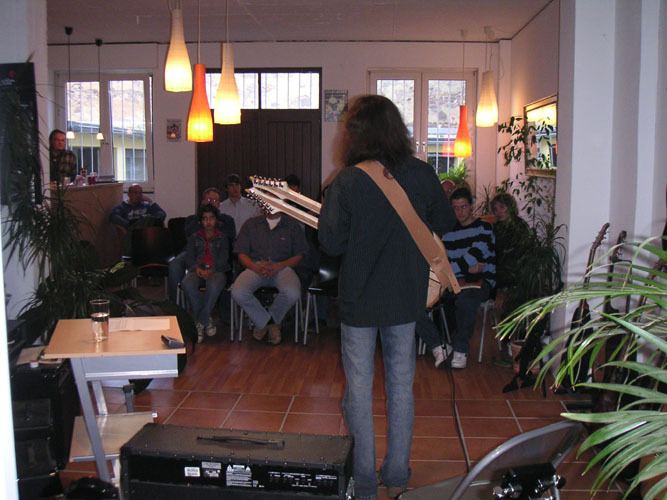 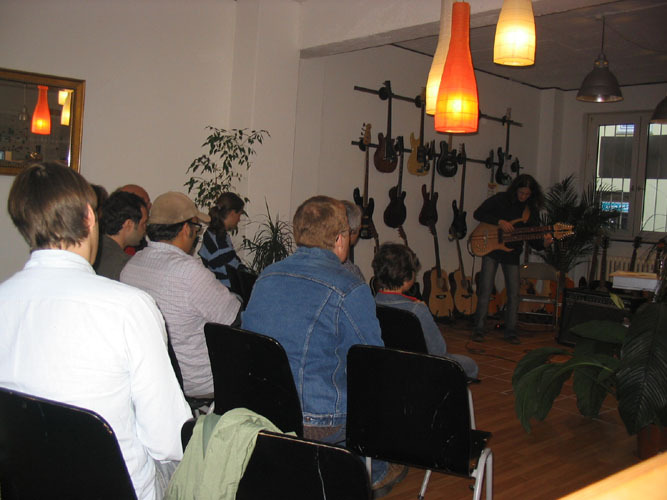 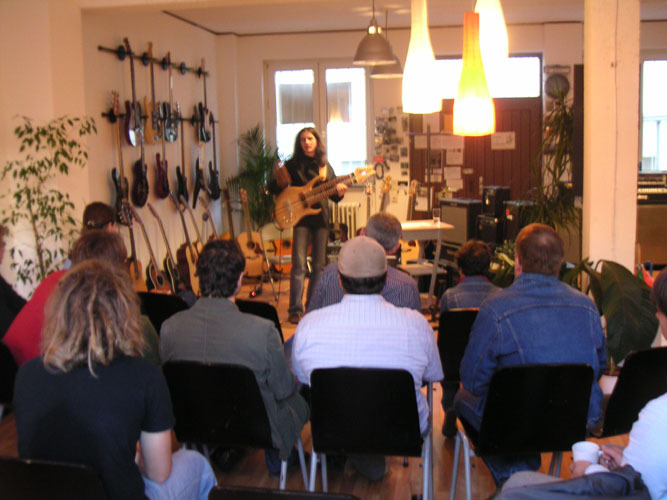 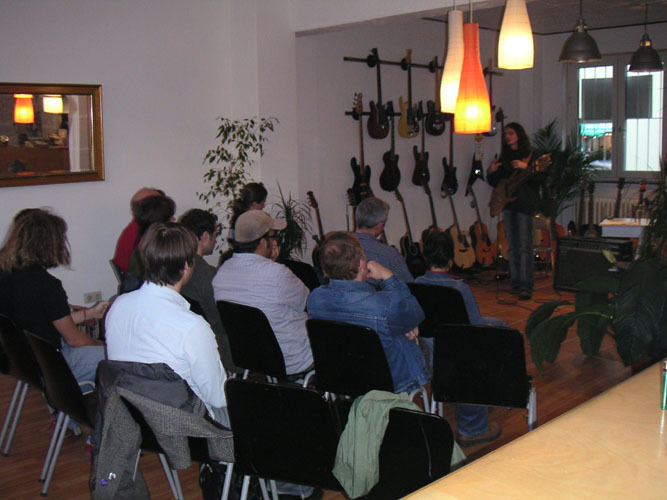 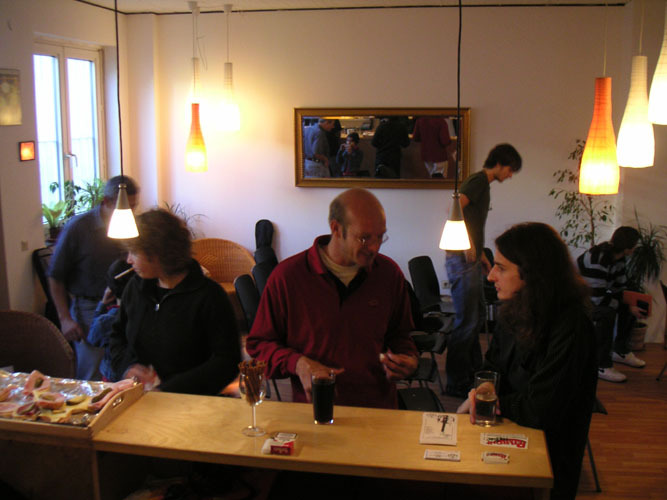 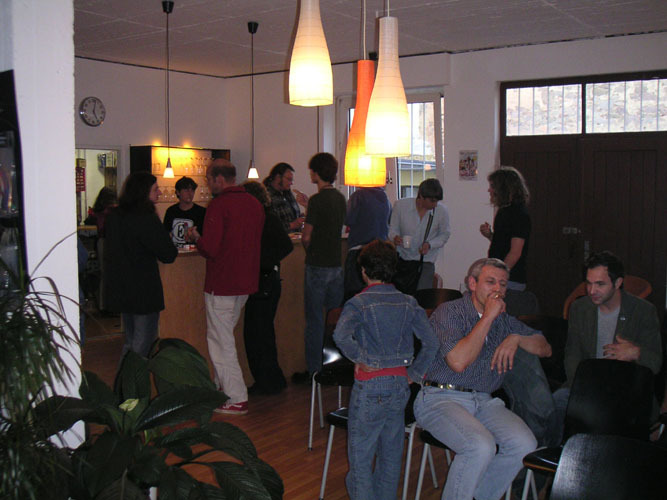 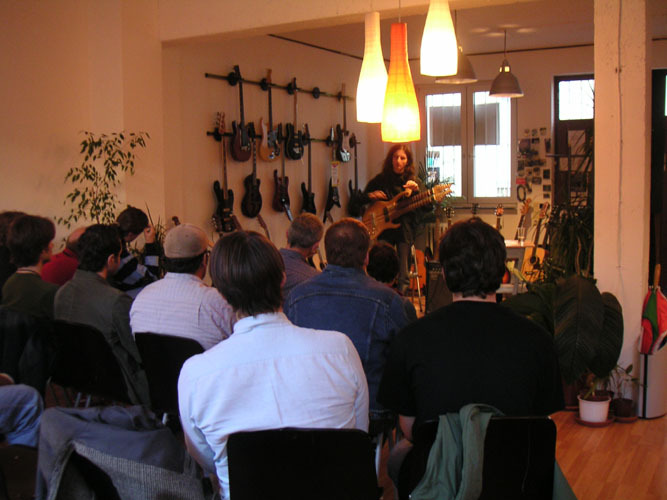 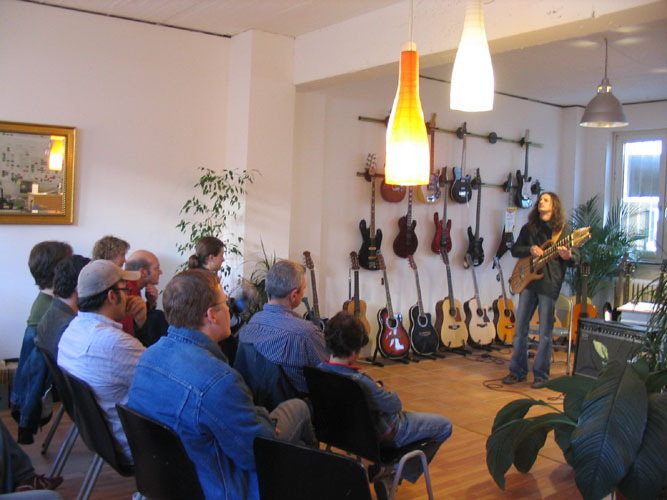 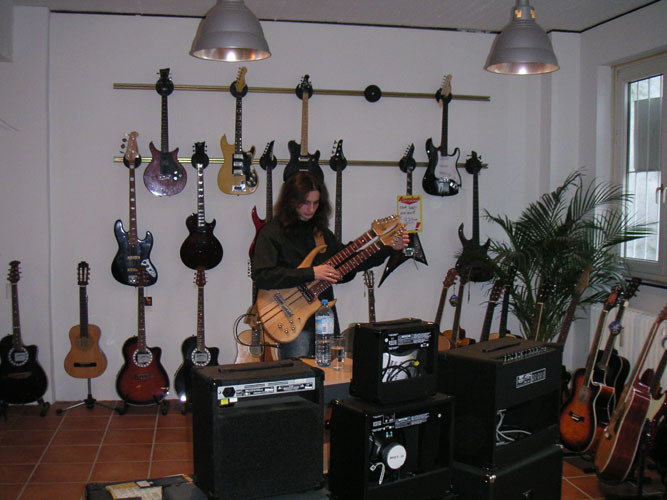 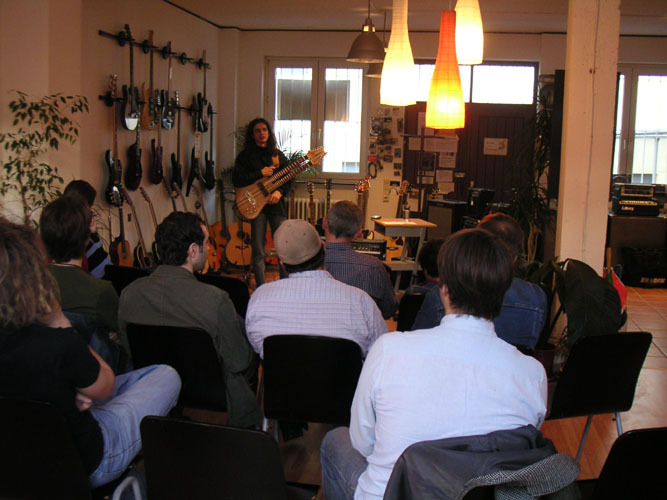 Photos from guitar workshops in Peperoni Music Schop (October 29, 2005). 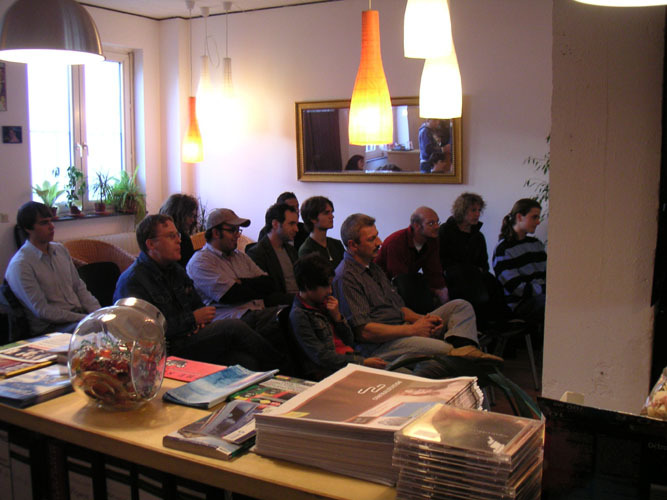 Tickets: 10E, about 20 listeners. 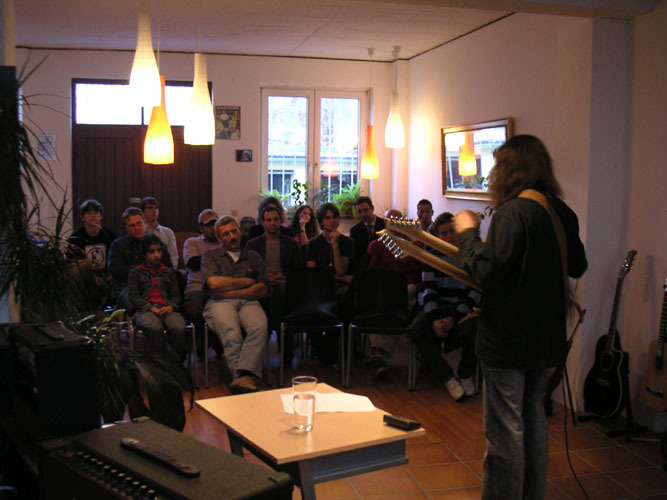 In the evening there was Fool-X trio gig in the Knabenschule Kulturzentrum. 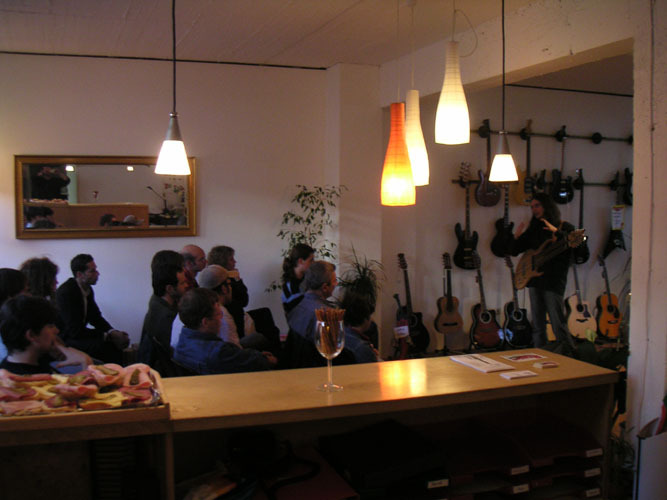 See also the gallery from this gig.